An anonymous quote tells us, “A mistake should be your teacher, not your attacker,” and those in public relations would be wise to remember it when something goes awry. 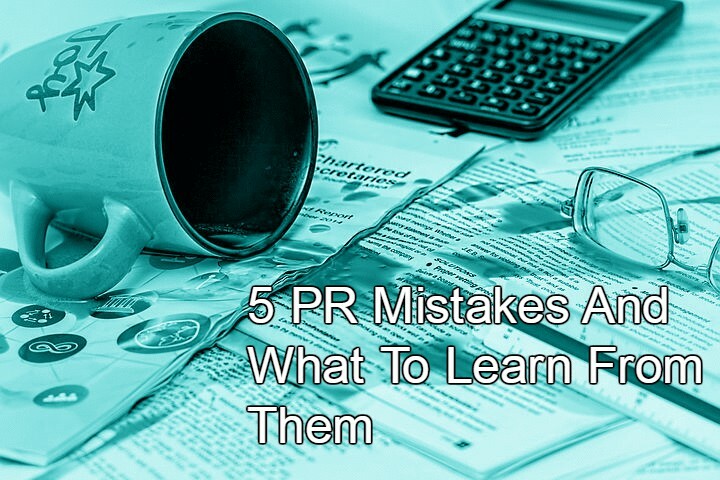 As most PR people know, even the most meticulously planned programs are vulnerable to mistakes. Though the first instinct may be to panic and scramble, most missteps aren’t fatal, and many offer lessons for the next time. Agency teams may think they’re in constant touch with clients as the emails fly back and forth, but that’s not enough. Yes, we’re all busy, but talking to clients should never fall of the list. It can result in uncertainty about next steps and a lack of clarity on plans and written materials. Worse, you can miss important red flags that may signal problems in the relationship or gaps in programming. Effective communications needs a mix of “rich” and “lean.” In-person, Skype or phone calls are considered “rich” channels of communication and are the most effective ways to hammer out complex ideas, solve problems or address larger strategic questions. “Lean” communications like emails or shared documents are best for routine updates and edits to materials. Although not every team will thrive with the same mix, it pays for teams to work together and experiment to develop the right communications blend. Some marketing teams have their own ideas for what will make news. And, just as often, these angles are non-starters – including those that are very commercial or self-serving – which are generally a journalist turn-off. An exception might include this example from Trader Joe’s. But in most cases it’s important for brands to understand what will work with media and what won’t, and firms who don’t counsel clients accordingly fail on two counts – not delivering coverage for their clients and burning bridges with media. Agency teams should take the time to explain, based on personal experience and expertise, why a story will or won’t work and where possible, how to take a bland or unworkable pitch and improve it. Lack of preparation for a media interview. Some CEOs and others in leadership positions shun the idea of media training. They may feel they know the messages inside out, or maybe they don’t want to lose spontaneity, or possibly they just don’t have time to prepare. But, failing to prep can be a miscalculation. Broadcast and online media are filled with examples of mediocre executive interviews, missed opportunities, and even a few disasters. PR professionals should work with client spokespersons to ensure against this in a non-intimidating way. Smart interview prep is designed to create greater fluency in delivering two or three top messages, and practice interviews, though they may feel awkward, typically benefit the entire team. What if the spokesperson or expert still refuses, and an unsatisfactory interview results? With a print interview, there are opportunities to reach out to a journalist and add or amend statements. With a live broadcast interview, all one can do is use it as a “teachable moment” for the team, offer constructive criticism and devise ways to improve for the next time. Today’s PR efforts should include sophisticated – but simple – measurement to determine a plan’s ability to help achieve business goals. Gone are the days when of simply supplying “inches and airtime.” Agencies who neglect to build in key metrics are doing clients – and their own team – a disservice. The formula doesn’t have to be complicated; we have clients who focus on their own website analytics to gauge the power of earned media, while others rely on easily measurable metrics like share of media voice compared to competitors. Whatever the case, PR teams need to be able to merchandise their results to decision-makers to ensure the continuation of smart PR planning and healthy PR budgets. It all comes back to accurate tracking of progress toward key performance indicators or KPIs. 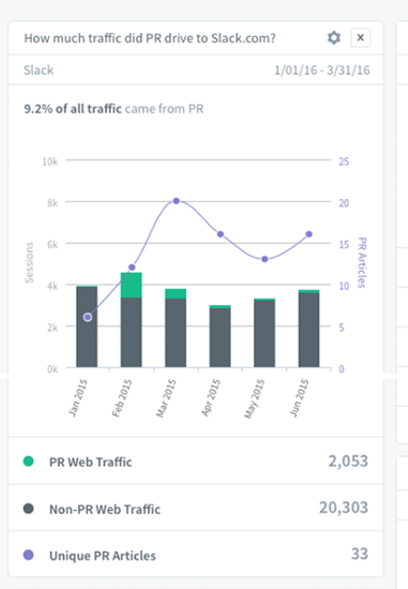 Fortunately, there are many advanced PR measurement tools that offer customizable dashboards and even the ability to integrate data streams in order to customize outcomes measurement without breaking the budget. Nonexistent or outdated crisis communications planning. It’s important to have a basic communications plan in case of an event that can impact reputation in a negative way. Even if efforts don’t thwart a reputation crisis, as illustrated here, a bare-bones plan will save time and anxiety if bad news breaks. When starting a new client engagement, we often ask about the organization’s crisis communications plans. This has produced unintentionally funny results, like the time a corporate communications manager unearthed a bound plan from 1997. Sadly, a recent Nasdaq Public Relations Services / PR News poll found that nearly half (48%) of the communicators surveyed lack a crisis plan. Take the case of the human error made by Hawaii’s Emergency Management Agency. While the greater crisis – the threat incoming ballistic missile – was thankfully a false alarm, the reputation damage to the Hawaii EMA has only just begun.